The electrokinetic properties of Nd:YAG nanopowder with particles of about 40 nm in diameter were investigated by measuring the zeta potential of a stable YAG (Y3Al5O12) aqueous slurry. Ammonium poly(acrylic acid) polyelectrolyte was used as dispersant to adjust the electrokinetic properties of the Nd:YAG slurry. 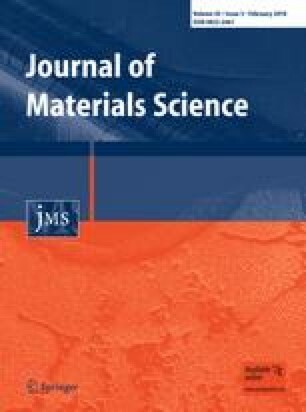 The effect of the pH of the slurry and of the polyelectrolyte concentration on the stability of the suspension are discussed in this study. The optimal pH value and the amount of dispersant needed to obtain a stable Nd:YAG nanoparticle slurry were determined. Highly consistent Nd:YAG nanoparticle slurries with optimal pH and dispersant concentration were prepared by ball milling. The rheological behavior of Nd:YAG slip with different solid loading (60–70 wt%) has been studied by measuring the viscosity and shear stress as a function of shear rate. Slip with solid loadings of 65 wt% shows near-Newtonian behavior but becomes non-Newtonian with typical shear-thinning behavior above this solid loading value. The density and microstructure of the cast product bears a direct relationship to the state of the slip induced by alternation of the pH and the concentration of the dispersant as well as the solid loading. This research was supported by an NSFC (50872070, 50702031, Innovation Research Group, 50721002), the 973 Program of China (G2004CB619002, 2007CB613302), and the Program of Introducing Talents of Discipline to Universities in China (111 program). Thanks to R. I. Boughton at the Bowling Green State University for English revision on this paper.